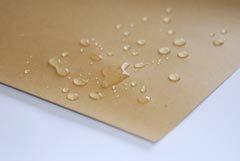 Paper (ranging from thin paper of 50g/m2 to cardboard of 500g/m2) is laminated by molten PE or PP resin to offer properties such as waterproofness, moisture proofness, oil resistance, and heat-sealing. Use of aluminum foil as substrate material can provide lightproof and gas barrier properties. Use of printed film as substrate material can provide excellent aesthetics. By combing materials with different properties, we offer products that have properties of respective materials. We offer products that have properties of respective materials, by laminating materials of different properties such as paper, film and aluminum, using PE or PP resin as adhesive, or by laminating materials with PE or PP resin as substrate material. Coated paper by rod coating, an environmentally friendly product which can be recycled as recycled paper. With tandem laminating machines in a hygiene-controlled manufacturing environment, up to four layers (two layers of substrate materials and two layers of resin) can be processed at one time. Products are mainly used for foods. In addition, we have laminating machines capable of processing up to 2,700mm in width, a coater which does not use organic solvents, and gravure printing machines, which are suitable for various applications such as construction materials and industrial materials. Gravure printing is one of the most aesthetically pleasing forms of printing. 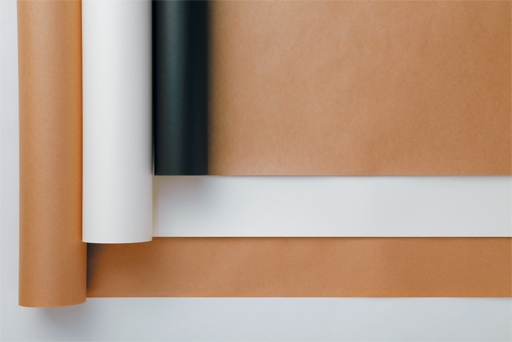 Paper ranging from 100g/m2 to 400g/m2 can be used for printing on paper up to 1,400mm in width.